Gamers gear up as you could be one of the lucky one who can be at the E3 event to held in mid of June and can get your hand of the best and the lastest game the the big names in the gaming world will offer before anybody else. 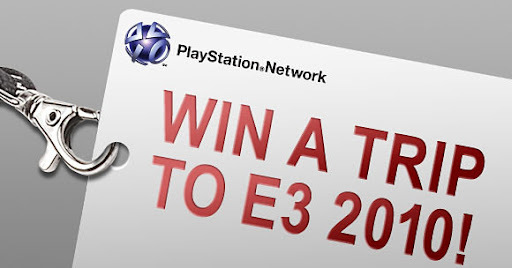 Sony is giving a chance to every gamer to show some creativity and in return get to win a trip to E3. Sony has listed some guidelines for this which we have listed below for you. All content must be original—no copyrighted music, video, pictures, etc. Free Three Nught Accomodation to hotel. Must be a U.S Resident. Has to be a Playstation member. So if you are interested and feel confident of winning than hurry up before someone else take it away from you.